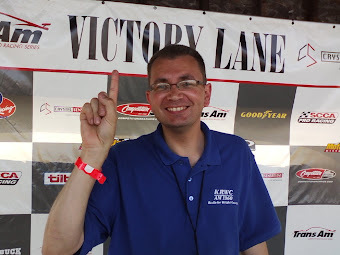 These tough economic times have contributed to the likely closing of "I-94 Speedway" in Sauk Centre and "the Golden Spike" in Sauk Rapids MN for 2010. 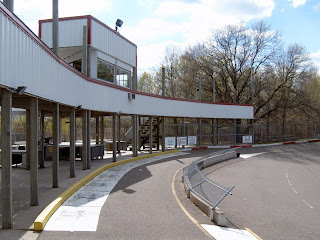 I just got the word that a track that has been dormant for years will re-open this summer. Hideaway Speedway in Isanti. Its a 1/10th mile high banked track run by former I-94 Raceway TQ champ Darin Nelson. 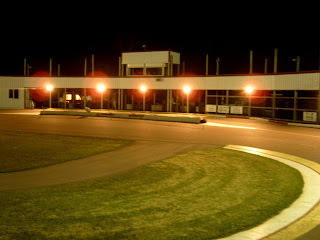 To race on this track you will need a gas powered radio controlled (RC) car... they are approx 1/4 the size of a stock-car. These cars just fly around Hideaway Speedway with speeds of around 50mph. A competitive used car will cost between $500-$1,000 dollars with a new one at about $2,000. Its a great way to feed your racing appetite even if you don't have room for race shop or the mechanical ability it takes to build and maintain a stock car. Racing this summer is slated to begin the first week of June. 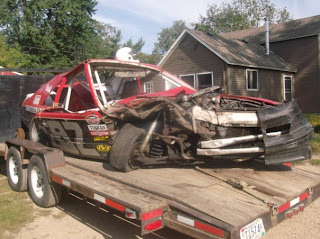 For more information on racing or just going to see this unique form of racing call Darin Nelson at (763) 267-9161. If you are traveling on a race weekend in Minnesota and can't be near a TV set, nothing sounds better than coverage of NASCAR races on the radio. 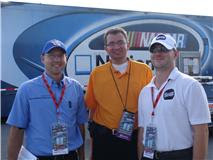 MRN (Motor racing network) and PRN (Performance racing network) alternate coverage at the NASCAR tracks and do a great job. Here are a couple options if you are looking for NASCAR radio coverage in MN. You can also listen to the race on the FREE Tunein app on your phone, search KRWC. 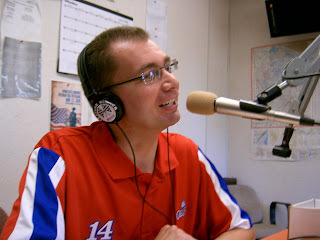 Also now KKLN 94.1 FM in Willmar MN is broadcasting the NASCAR races on the FM dial in central Minnesota. 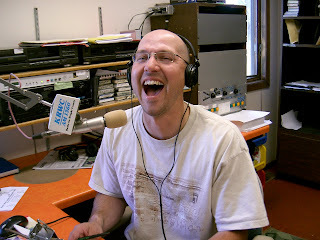 KQAQ AM 970 (Austin) MN also has a strong signal and can be heard 2 hrs into Wisconsin. 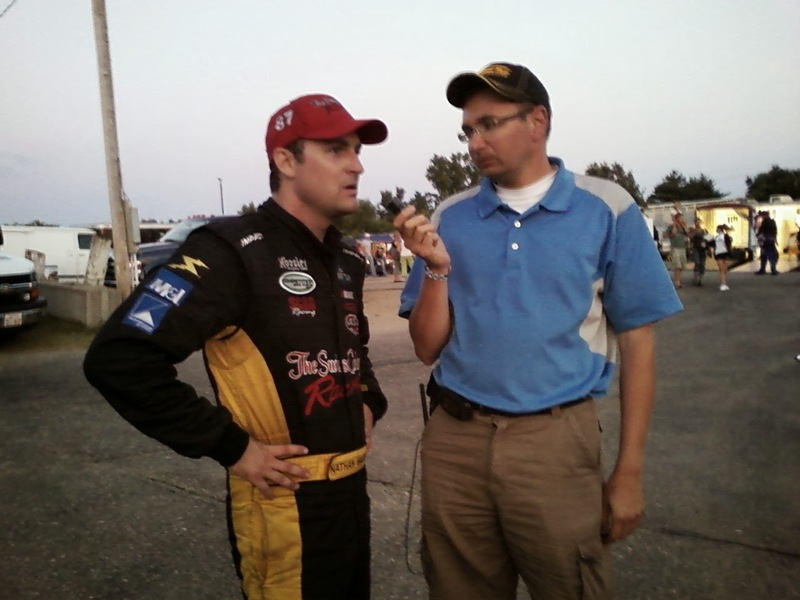 Speed Talk on 1360 also interviews drivers at Iowa Speedway. 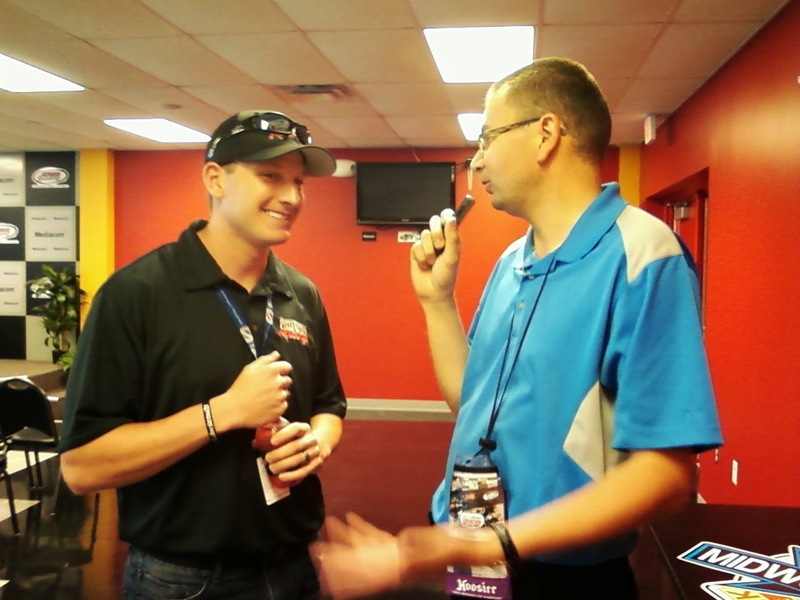 Interviews include: Trevor Bayne, Chris Buescher, Michael McDowell, Drew Herring, Kenny Wallace, Matt Crafton, Reed Sorenson, Jennifer Jo Cobb etc. Wayne Warnest (pictured with his wife Dianne) was the winner of the Tony Stewart die-cast car from Lance at Speedworks diecast and Speedtalk on 1360 radio. He correctly predicted Jimmie Johnson would win the NASCAR race in California. 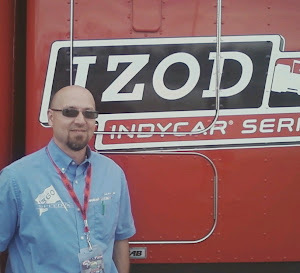 Wayne is a huge local race fan and spends most every summer weekend at Raceway Park in Shakopee and Elko Speedway in Elko MN. Thanks everyone for your interest, we would like to do this again later in the season. The ASA race from South Africa will be broadcast on Fox Sports North on MONDAY from 7-9pm Central time. Many local drivers competed in this event, including: Tim Olson (MN), Russ Blakeley (WI), Steve Carlson (WI), Chris Wimmer (WI). 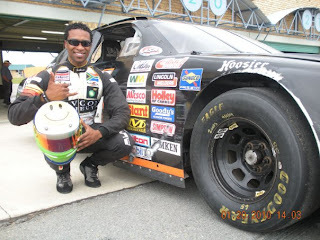 *Speedtalk on 1360's favorite South African driver, Gugu Zulu (in picture above) finished 11th in this race. You can also see him on the big screen as the stunt driver in "Lord of War" starring Nicholas Cage. 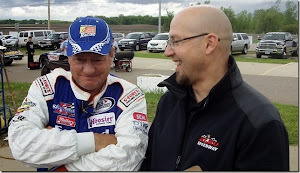 Long time Minnesota racer Mike Dimmick was on Speedtalk on 1360 Saturday Feb 20th! Mike was involved in a horrible wreck last fall and is still recovering from his injuries..
Speedtalk on 1360 is on from 10-11am on KRWC. 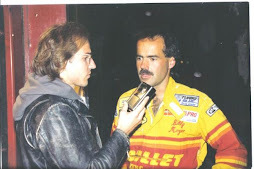 Dean Reller from "Speedtalk on 1360" and Jordan Bianchi from "theracinggeek.com" both contributed to the Race talk radio "top 20" poll. Another chance to win the Tony Stewart die-cast! Nobody picked Jamie McMurray to win the Daytona 500 .. so Lance from Speedworksdiecast.com said we can give away the 2010 Tony Stewart Office Depot 1/24th die-cast to whoever picks the winner of the NASCAR race in California. *if we have more than one winner, a random drawing will occur. The 2010 NASCAR season is about to begin. Minnesota doesn't have a driver competing for the Cup this year but, we can brag about some hard working MN natives who travel to the track all 36 weekends of the season. Scott King from Bloomington MN is a shock specialist for David Reutiman. Kevin Hulstein from Willmar MN offers pit support for Mark Martin. Trevor Lysne from Fergus Falls MN is a front tire changer for Juan Pablo Montoya and Kevin Novak from Veseli MN is a front tire changer for Boris Said. Many other Minnesotan's work for the teams back in their race shops in North Carolina. Nobody seems to remember that Mark Martin has won 4 ASA titles and 5 IROC Championships during his long racing career. They only think about his 5 runner-up finishes in the chase for NASCAR glory. 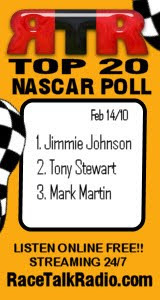 I think that will change this year, the storybook ending to his career will be written and 51 year old Mark Martin will finally win his first NASCAR Championship in 2010. Mark is racing the best equipment in Sprint Cup (Hendrick Motorsports), and has the best young crew chief in NASCAR (Alan Gustafson). Mark says that Alan is the best crew chief he has ever worked with and that he is amazed by HIS work ethic, that is coming from a guy who is known to have the best work ethic in all of racing. Fact is, he is in better physical shape than most of the drivers half his age. Chad Knaus has guided Jimmie Johnson to four straight Cup titles, and he has called Alan Gustafson a genius. That's good enought for me, I don't hear Chad using that word about any other of the Hendrick Motorsports crew chiefs. Mark Martin garners the most respect from the other drivers. He drives hard, but clean, and the other guys will cut him some slack. He doesn't wreck and doesn't make mistakes. He is good at all the NASCAR tracks, the only weakness seems to be a string of bad luck at restrictor plate tracks, of which their is only 4 per year. The person to topple Jimmie Johnson from the top of the NASCAR hill will have to win poles, stay near the front, and then win races. Mark Martin won 7 poles in 2009, lead 805 laps, and won 5 races. He did everything right, but finished 2nd in points. Johnson's team has had everything go their way the last few years. Maybe this year Chad will finally burn out or Jimmie will let his focus waver just a little bit with the stress of being a parent for the first time. Martin has a motivation that other drivers don't. He knows that his career is almost over, and this is the best opportunity he has ever had to win a NASCAR title. The pieces are in place for Mark Martin to make 2010 a career year. 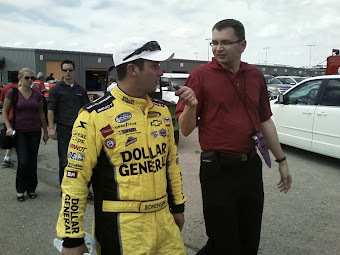 ST CLOUD, MN (February 7, 2010)- I'd like to make a bold prediction about how someone is going to dethrone the hottest NASCAR driver in recent memory, but I cant bring myself to do that. Jimmie Johnson has won four straight Sprint Cup championships and really hasn't made any changes that would keep him from doing it again this year. Johnson will be back in the same equipment, with the same crew and sponsors so, coming into the year there, is no significant change that would keep the team from doing what they do best, win Championships. Daytona and the early season races only seem to be a tune up for the 48 team as they find out what doesn't work and then they gain momentum as the Race To The Chase begins only to be at their strongest as they enter The Chase For The Championship. Once again I see Jimmie Johnson taking it all to the bank. A familiar mix of drivers will also be in contention and possibly could unseat Johnson if Jimmie and company slip ever so slightly. Leading that group is Mark Martin who has been so close, oh so many times. Mark is in some of the best equipment he's had in years, and will be starting the 500 from the pole, so the "Ageless Wonder" might finally be able to win that elusive race and possibly the Championship. Jeff Gordon again will be knocking on the door and will just a couple of better finishes than last year, he could put himself back on top for his fifth Championship. Tony Stewart used last year to work the bugs out of his new team, winning races and having several top finishes in the process. This year, Stewart should be stronger and will easier find himself at or near the top, when racing winds down in November. 2010 will be much better for Dale Jr. and Carl Edwards. 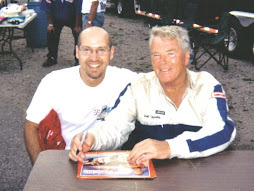 Both of these drivers struggled in 2009, but should make significant rebounds as they will win races and put themselves back in the fold as the season rolls on. Don't let the first couple races of the year be an indicator for the rest of the season. Remember Matt Kenseth won the first two races last year and then took a significant fall, which too nearly the rest of the season to rebound from. The great thing about NASCAR is that it is a long season and there will be plenty of excitement along the way. So buckle up, the ride is about to begin. 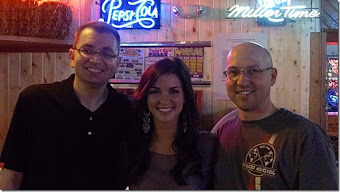 Three "friends of the show" are combining for our final NASCAR 2010 preview guest article. After all the rumors of adding another team to Stewart-Haas racing, they have stayed with improving the two teams they started with. Both Ryan and Tony left money on the table in 2009, and they want it back. Look for changes on Ryan's pit crew, much improvement is needed there. 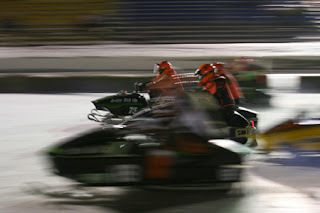 A couple 3-4 seconds will make a mark in 2010. Ryan remembers how last season started for him, and I'm pretty sure that history will not repeat itself. I think Dale Jr will make the chase with Rick Hendrick putting more emphasis on that team this year. I would pick Jeff Gordon to win the Sprint Cup championship, Denny Hamlin will have a breakout year and give Gordon a run for the title. Kyle Busch will take the strong season he had in the Nationwide series and run with it in the Sprint Cup series. Kyle will have a lot on his plate with both running his own team and still driving. I think you will see Kyle finish in the top 3 this year and give the Hendricks teams a run for their money. The thing that "WE" short track racers have to love about him, is the fact that he brings out his Super Late Model and goes and races the local short tracks. Great to see when someone with his skills comes back to race the short tracks. 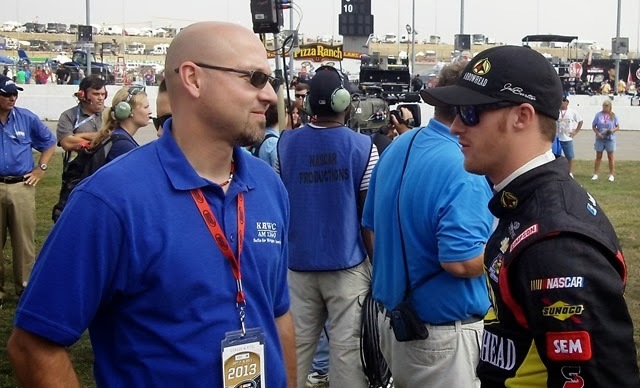 Jason and Dean will be posting their 2010 NASCAR predictions later this week. Lakeville MN race team Win-Tron racing (Kevin Cywinski and Nate Thiesse) with driver Justin Marks, is down in Daytona getting ready for the ARCA race on Saturday Feb 6th. 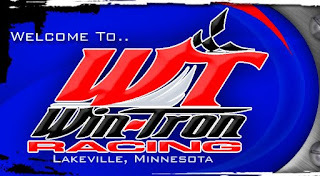 The only scheduled racing event at I-94 Speedway in Sauk Centre (MN) is this weekend, Friday thru Sunday (Feb 5-7). It's I-94 Ice Daze vintage snowmobiling event sponsored by the I-94 Rec Club. Unless something can be worked out for an organization to lease the track for auto racing, the I-94 Speedway in Sauk Centre will be silent this summer for the first time since it opened in 1991. Lance from http://www.speedworksdiecast.com/ will give away a 2010 model 1/24th Tony Stewart Office Depot die-cast car to one lucky "Speedtalk on 1360" listener for the Daytona 500 race. If you are right YOU WIN the die-cast car! If more than one person is correct, we will do a random draw from the people who guessed right. E-mail us anytime before the race begins... Sunday Feb 14th! Only one e-mail per person, please include: who you think will win, your name, phone number and address on the e-mail ... we will send the car out to you with FREE Postage! Thanks to Lance at http://www.speedworksdiecast.com/ for this prize, we will do this again later this year. For more information on ordering die-cast NASCAR, NHRA or World of Outlaw cars, go to his website. Also sign up for the free newsletter.